Most attics are under insulated. The department of energy recommends an R-49 for our region here in the North East. It’s the numeric measure of resistance to heat transfer. The higher the R-Value, the better the resistance to heat transfer. R-Value recommendations from the Dept. of Energy have drastically changed over the past 50 years. Building codes vary. However, code is much less than what is recommended to efficiently heat/cool a home. It is simple to figure out if you are deficient. 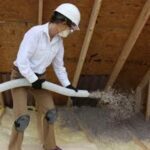 Simply measure the amount of fiberglass insulation in your attic (overall thickness) and multiply it by 3. Example; 10″ x 3= R-30, 12″x3= R-36. You will really benefit quickly if you have 12 inches or less. Our customers are so happy about the money they save on heating bills. The biggest compliment is how much more comfortable their home is. Another huge benefit to our insulation product is that it is treated with boric acid. 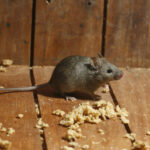 This will help eliminate or reduce self grooming insects inside the attic space.